AH, the passion. Ivory Coast lose 1-3 to Brazil and the African team’s manager erupts. The Ivory Coast manager is one Sven Goran Eriksson, and his face as his side got well beaten should remind England fans and John Terry what went before. 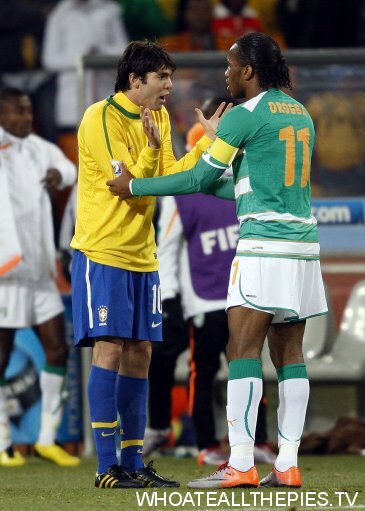 Pictures from this match, including Kader Keita’s cheating to get Kaka red-carded. Is this what happens whan you grow up watching Rivaldo?